Wisconsin, the fifth incarnation of Postcards from America, was made in three sections. First to visit, in the summer of 2013, were Bruce Gilden and Martin Parr followed, in the depths of an extreme winter, by Alessandra Sanguinetti, Jacob Aue Sobol and Donovan Wylie. 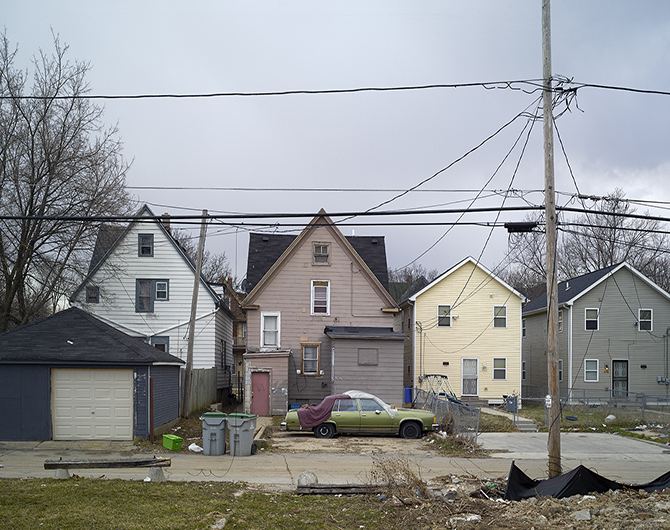 Finally, Jim Goldberg, Susan Meiselas, Paolo Pellegrin, Alec Soth, Zoe Strauss and myself based ourselves in Milwaukee in April 2014. Throughout this chapter of Postcards we continued to post pictures to our tumblr site, while an exhibition opens at the Milwaukee Art Museum on July 10th. Here are some of the pictures I made during my two-week stay, simply sequenced in chronological order.